On this weeks ENERGY packed episode! 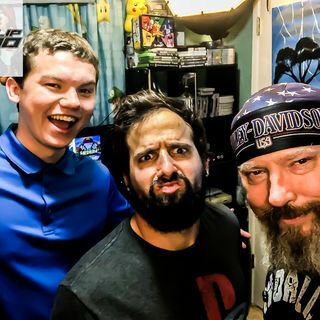 Hosts Jerad, Zach and Josh start off With The Patreon Read. The guys then talk about Zach passin up a Handy...AGAIN!! They then dive into Zach cheating on pokemon go followed up with some hot topics. After the commercials, they head into Nostalgia (win Prizes, Post the year you think here, or on facbook, instagram and twitter for your chance to win prizes! They wind down with the BLR movie minute and some shop talk. - The CloverField Paradox Scene That SPOILED EVERYTHING!